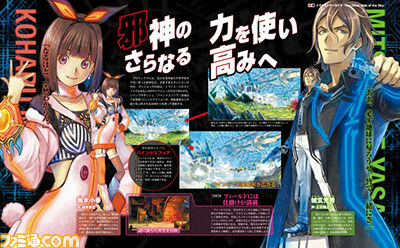 Spike Chunsoft and tri-Ace side-view RPG dated. Exist Archive: The Other Side of the Sky will launch for PlayStation 4 and PS Vita in Japan on November 26. The game will cost 7,200 yen on PS4 (7,776 yen with tax) and 6,800 yen on PS Vita (7,344 yen with tax). This week’s issue of Famitsu will have the latest updates on the Spike Chunsoft and tri-Ace side-view RPG. Stay tuned for the morning leaks. If you missed it, catch the Exist Archive teaser trailer here.